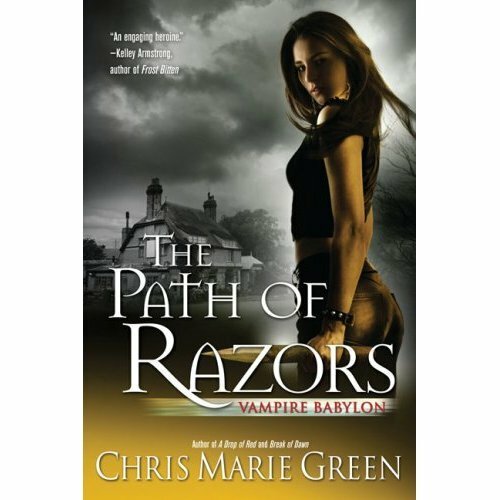 Having Read the previous four installments in this series, which I loved by the way. This one was not as good as the others I felt. The storyline felt like it seemed to dragged on forever. Don't get me wrong there were moments which this book delivered and didn't. I felt the first part of the book was terrific. The second part, I felt we were like forever hanging out with the vampires. The thing that saved this book was the end. You delivered on the payoff. I also felt like Della seemed to take over a lot of the book. Yet, the dynamics of the team seem to be that everyone seems stressed and you stayed on Kiko, Eva's Stress a little too much. You get a B- on this book. The B- was for the middle of the book. I understand that sometimes you need to explain things. Sometimes when writers spend too much time writing about one character, Della for example, it gets boring. Plus the schoolgirls thing is getting old. I just wanted to skim past that part as I found them to be whiny and annoying. Yet when you focus on Dawn, Jonah, Costin, this is where you shine. I just hope the next book is better. This is how a writer should end a series. Love this series. I'll be sad to see it go. Having read the previous installments of this series. 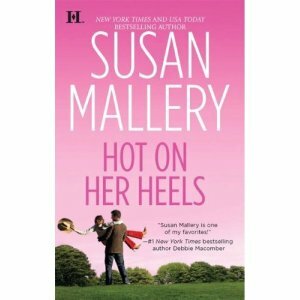 I was really looking forward to read this and Susan Mallery delivered. I love Romances where the two characters are both strong willed and neither the hero or the heroine is willing to give in. Dana Bich vowed never to put herself at the mercy of a powerful man. She became a deputy so that she could take care of herself and protect those she loves. Especially her best friends, the Titan Sisters. Twenty years ago, Garth Duncan swore revenge on Jed Titan for abandoning Garth and his mother. Now he's back to fulfill that promise, even if Jed's daughters get caught in the crosshairs. All that stands between him and his goal is Dana, her gun and a growing passion that can't be denied. This book was wonderful as we learned what really drives Garth, a lot more about Dana. I love the chemistry between Dana and Garth. This came as a surprise because I didn't like Garth at all in the previous books. I thought he was a cold hearted man. Yet Mallery, really makes you feel sympathy for Garth by giving us his backstory at last and what has driven him all these years. Dana, as well we found has some isssues from when she was very little. Together they form a realationship that is based on at first chemistry, but through out the book they start to fall for each other and neither one of them wants to admit it. Yet by the end you see the two of them together. Also Dana lets Garth try to make amends to his sisters who he tried to bring down hard. I also love how Jed gets beat. In the end, everyone gets their HEA. I just love that Dana and Garth get married at the end. Dana gets to be Titan through marrying Garth and is finally part of a family that loves her. Love is the ultimate joy and it can overcome almost anything.